Researchers link chicken pox virus to giant cell arteritis. A new study from researchers from the University of Colorado links the virus that causes chicken pox and shingles to a condition that inflames blood vessels on the temples and scalp in the elderly, called giant cell arteritis. Giant cell arteritis, which can cause blindness or stroke and can be life-threatening, is linked in the study to the varicella zoster virus, of the herpes virus family, which causes chicken pox and may reactivate later in life in the form of shingles, a very painful rash. The analysis, which is the largest to-date, provides compelling evidence that the virus also reactivates in people over 60 in another way, triggering giant cell arteritis. Giant cell arteritis causes swelling and tenderness of the arteries on the scalp and temples of people over the age of 50. The team note that it is the most common type of inflammation of blood vessels in the elderly, affecting an estimated 29 out of 100,000 people. Symptoms include a new severe headache, scalp tenderness, jaw discomfort, blurred vision, fever, weight loss and tiredness. The team summise that if the association in this landmark study can be replicated in other studies, clinical trials should focus on treating people with giant cell arteritis with a combination of the current steroid drugs used for the condition, plus antiviral treatment for the virus. 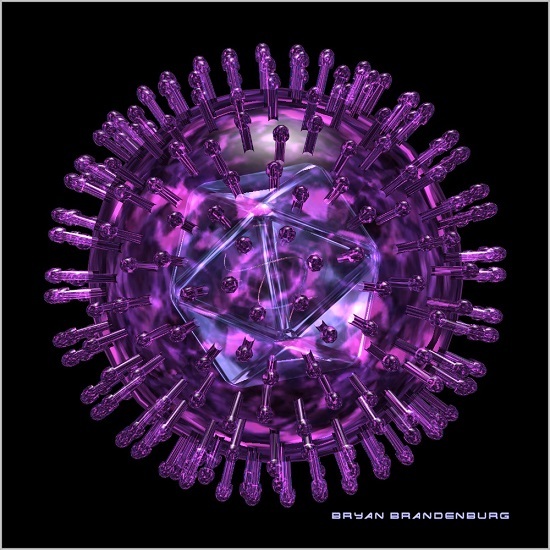 Herpes Simplex Virus Gallery. (c) 2005-2014 Bryan Brandenburg.